Champaign-Urbana Special Recreation offers resources that hugely benefit and impact our community. We are turning the spotlight to their Inclusion Assistants who are offering support to kids from Champaign-Urbana and beyond! Inclusion makes an impact every day. Read below for 5 ways how. 1. Independence – By offering inclusion services, we are allowing participants to use their freedom of choice to decide what kind of programming they would like to participate in. Whether it be behavioral, physical, or otherwise, the presence of a disability no longer dictates recreation options. This fosters a sense of independence in participants’ leisure choices and lifestyle. 2. Diversity – Welcoming participants of all abilities allows the community to learn about each other and appreciate individual differences. We are able to celebrate diversity by fostering opportunities for participants of all backgrounds and abilities to grow and play alongside each other. Through inclusion, we are able to promote and teach acceptance and sensitivity towards individual differences. 3. Companionship – Not only does inclusion all individuals who have special needs to formulate friendships by participating alongside peers, but it also creates an opportunity to form a unique relationship with an inclusion aide. We create relationships based on trust to allow participants to feel confident and willing to explore outside of their comfort level in both recreational experiences and peer interaction. Inclusion aides exist to help individuals with special needs to ensure that they are getting the most out of their program experience. 4. Opportunity – Inclusion services open the door to a great number of opportunities for recreational experiences that otherwise would not be possible. With an extra set of ears to repeat the right way to swing a tennis racquet, a gentle voice to guide good decision making, and a voice to help advocate and adjust a basketball drill to better accommodate, inclusion aides are making a difference. Individuals with special needs are also encouraged to try new things and get involved in whatever leisure experiences they are interested in. 5. Quality of Life – Recreational activities are an integral aspect of the quality of life for all people. By offering Inclusion services for our park district’s programs, we are making progress toward eliminating barriers to leisure and allowing individuals with special needs to experience the benefits provided by recreation. These benefits include developing self-esteem, physical and mental health, and social skills through the same experiences as their peers. We are proud to offer these services at no additional cost to program participants. 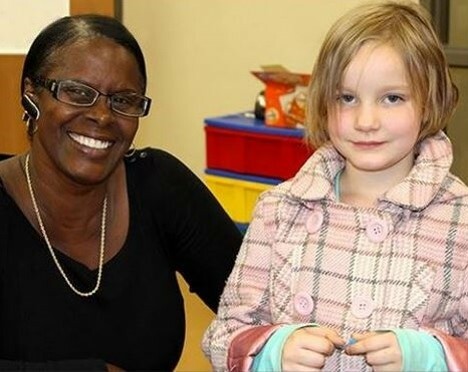 Inclusion comes in so many forms; if you would like to learn more or have questions if your child might be a candidate for Inclusion Assistance, contact Grace Rolnicki at 217-819-3922 or Grace.Rolnicki@champaignparks.com. Copyright © 2019 by Champaign-Urbana Special Recreation. All Rights Reserved. Site Maintained By ThirdSide, Inc.